Doncaster have signed former Super League prop Jordan Cox on a deal until the end of the 2019 season. The 26-year-old made 86 in Super League for Hull Kingston Rovers and Warrington Wolves between 2011-16, before having a brief spell at Sheffield Eagles. Cox took time out of the game in 2018 and returned in pre-season by having a trial at Hull FC, but he has now committed his future to League 1 side Doncaster. On securing the services of Cox, Dons coach Richard Horne said: “Jordan will add some real size and power to our pack, and also brings with him a lot of experience of playing at a higher level. “He’s kept himself fit over the course of pre-season so he’s able to come into the group and make an immediate impact. 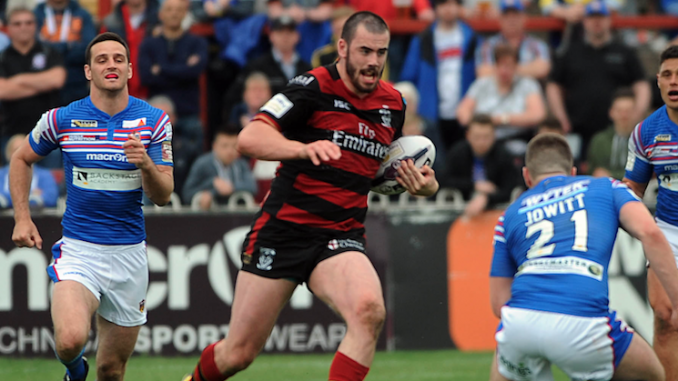 Cox could make his debut for the Dons on Sunday when they welcome Hunslet to the Keepmoat Stadium, 3pm kick-off.